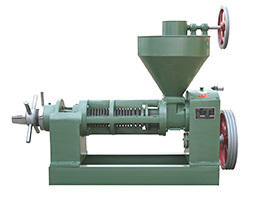 This type of palm kernel oil press machine can be both used for edible and biodiesel fuel purpose which has advantage of high efficiency, low consumption, simple operating, stable function, easy to maintain,high productivity and high oil output ratio. 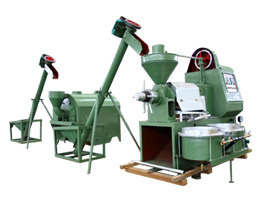 This palm kernel oil press machine have a large capacity and feature reliable performance. 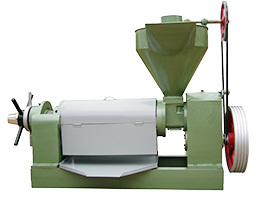 It is favored by large and medium-sized sized oil pressing plants. 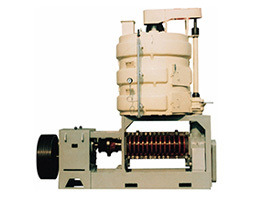 This oil press processes seeds from a variety of oil plants, and has achieved customer satisfaction in many markets. Palm kernel oil, like other vegetable oils, can be used to create biodiesel for internal combustion engines. Biodiesel has been promoted as a renewable energy source to reduce net emissions of carbon dioxide into the atmosphere. Therefore, biodiesel is seen as a way to decrease the impact of the greenhouse effect and as a way of diversifying energy supplies to assist national energy security plans. According to Hamburg-based Oil World trade journal, global production of oils and fats in 2008 stood at 160 million tonnes. Palm kernel oil and palm oil were jointly the largest contributor, accounting for 48 million tonnes or 30% of the total output. Soybean oil came in second with 37 million tonnes (23%). About 38% of the oils and fats produced in the world were shipped across oceans. Of the 60.3 million tonnes of oils and fats exported around the world, palm oil and palm kernel oil make up close to 60%; Malaysia, with 45% of the market share, dominates the palm oil trade. 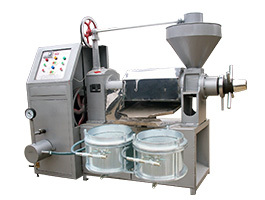 Feel free to contact us in the following form for further details of this palm kernel oil press machine. We are always at your service!